Like most of us, Arizona Coyotes coach Rick Tocchet formulated his new year’s list of resolutions. Of course, all coaches want wins, success for players and joy for the fans. This is easier said than done. At this time last year, the Coyotes were in the throes of dire straits and showed only 10 wins in their initial 42 games. Now under Tocchet’s second year behind the bench, the Coyotes nearly doubled their win production, but there could be red flags on the horizon. For one, Tocchet orchestrated a strong second-half turnaround last season, and goalie Antti Raanta led the charge, Now, Raanta is out for the remainder of the season with a knee injury and Tocchet’s list of resolutions now include a basic desire that coaches have for all players. Over the final half of the season, Tocchet wants his players to be aggressive to the net and take direct shots on goal. The stickwork moves around defensemen and creative passes are not part of Tocchet’s blueprint for the second half. Should the Coyotes employ his instructions, they could have an opportunity to sneak into the postseason. For that to happen, there needs to be a clear focus. With 12 players either done for this season or remaining injured, Tocchet wants his players on the same page. If a player is recalled from the AHL’s Tucson Roadrunners to fill in for an injured player, Tocchet wants that player to immediately step into the role of the player he replaced. That may not be easy to achieve. Given the style and role for each player, Tocchet told reporters after an early January practice there needs to be a commitment to consistency. That commitment must extend for a full 60-minutes and the length of the 200-foot rink. Over the first half of the season, the consistency which players and Tocchet hope for in the coming weeks was absent. 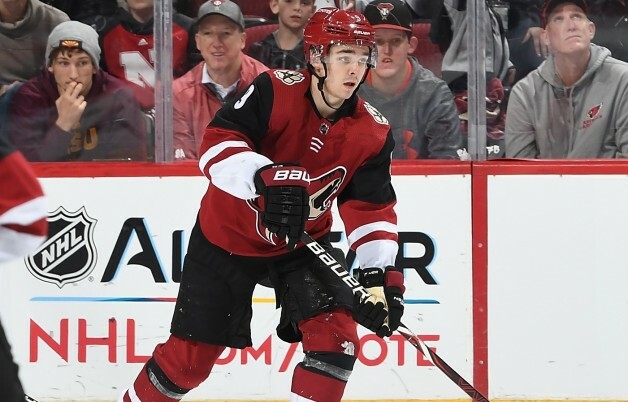 In the first 42 games of the season, the Coyotes had only three winning streaks, and these resulted in a five-game winning streak (Oct. 23-Nov. 5), a three-game streak (Nov. 27-Dec. 4) and back-to-back wins on Dec. 22 and Dec. 23. During a 14-game span, from Dec. 6-Jan. 4, the Coyotes went 3-10-1 and at their halfway mark, only Philadelphia, Ottawa, St. Louis and Los Angeles had fewer standings points. If the Coyotes are to leapfrog over teams and strive for a playoff spot, Galchenyuk could be an important factor. Brought over from Montreal in a celebrated trade for Max Domi, Galchenyuk was expected to carry a significant offensive responsibility. Through the first 42 games, Galchenyuk scored but seven goals and compared to a 30-goal season with the Habs (2014-15) and a 20-goal season the year before, Tocchet hopes that the former first-round pick will provide the consistency and production this team needs over the final half of the season.